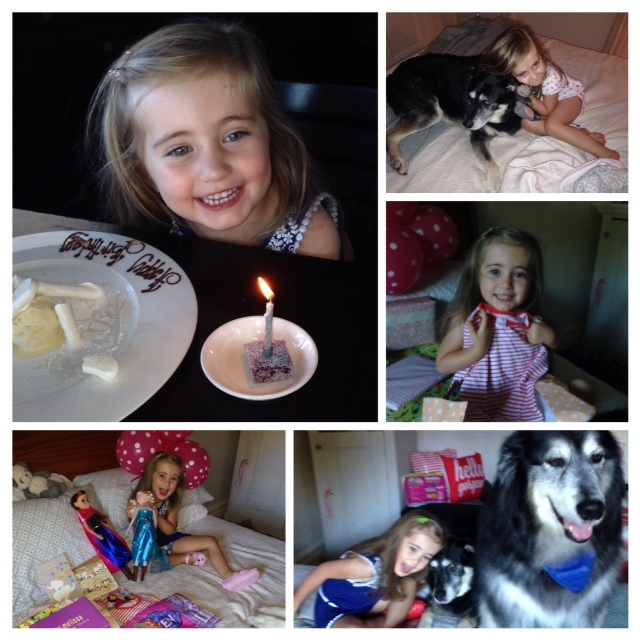 What an amazing fourth birthday my Love Bug had yesterday. An adventure with grandma to see The Very Hungry Caterpillar puppet show. An afternoon of fun followed by grown up girlie dinner at a very special restaurant with mumma and grandma. She fell asleep in my bed clutching her new Baby Bella puppy from grandma … with a big smile on her face.